Location: Situated to the SE of the house. The building dates from the C18, probably late C18. Potence and part of roof structure replaced during refurbishment by the National Trust, 1970s. Red brick in English Garden Wall bond with a stepped brick cornice, slate roof. Octagonal plan with doors in 2 faces. There are 4 symmetrically positioned dormer openings in the roof with hipped roofs and slate-hung sides, central open cupola surmounted by a weather vane. There are c350 nesting boxes in linear arrangement and a central potence and ladder. 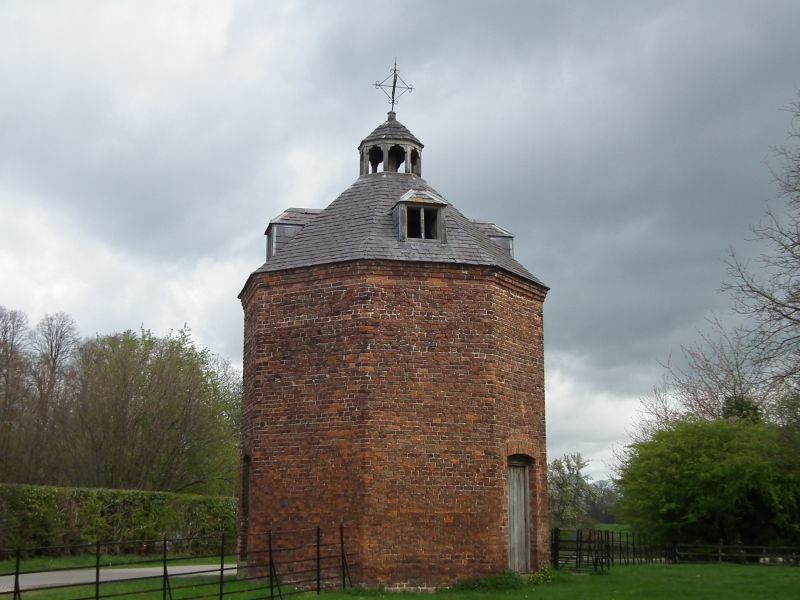 Listed for its special interest as an octagonal C18 dovecote. Situated on either side of the main axis of the E front of Erddig c70m from the house. Attached to the S side of the stableblock at Erddig and forming the W range of the outer yard, to S of the house.